There are over 200 ranking factors in the Google algorithm that influence how well your website ranks in SERPs (search engine results pages). As a business owner, expanding your business online can be difficult to do on your own since organic search is a long-term strategy. SEO, or “search engine optimization,” is a proven approach -- but how do you begin? Hiring an Etobicoke internet marketing agency with years of local SEO experience, for example, can get business websites higher rankings on SERPs. Amy Bishop of Clix Marketing reports that 72% of consumers who perform a “local search” online ended up visiting a store within five miles of their location. Are you getting that business, or is your website virtually invisible to those searches? Local SEO allows your brand to tap into the local community and help people find your business in real time. Many people are using their mobile devices to find places to make purchases, get services, or eat -- and local SEO can bring more clientele to your website and location. An SEO agency will help your brand by listing your business on local directories like Yelp, Foursquare, and Google My Business. Users can ask questions on the listings and leave reviews, increasing your chances of being found by additional prospects. Content marketing is a powerful device for brand awareness, lead development, and building a solid relationship with your consumers. A survey by Demand Gen Report states that 96% of B2B consumers want data-rich content from thought leaders. 47% of consumers read three to five pieces of content before meeting with a sales rep. Are you blogging and sharing useful information on your website? Get more leads by sharing your expertise regarding various challenges -- or problems -- that your goods or services can remedy. Post blogs, tips, and/or news regularly on your site. In turn, you can collect information from people who share your information -- and these readers and visitors can be converted into potential customers. Content is useless if no one can find it. Remember to promote your content using Internet marketing approaches like SEO, social media, and email. Spend time using content marketing techniques; organic website traffic is the top source of high-quality leads. Yes, social media is a game changer among online lead-generating media. Regardless of what social platforms you choose, each one of them can create huge opportunities to reach new clientele, and build a bond with existing customers. • Communicating with your followers, responding to comments, answering questions, etc. • Finding your most popular posts and duplicate that success using Google analytics. • Efficiently utilizing the Stories format. • Creating a Facebook retargeting campaign. • Reaching out to influencers in your field. 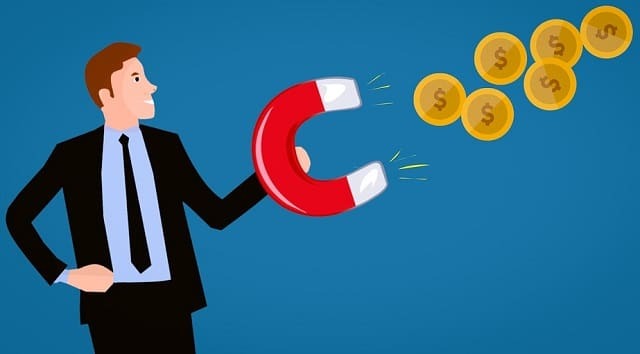 By using these few lead magnet ideas, small and medium-sized businesses can affordably start to generate more revenue. Get traffic to your website and engage those visitors. If you’re still a bit unclear where to start, seek out a reliable online marketing expert to help you optimize your website. They can manage it, effectively strategize your marketing plan, and place your pages on top page results. For more information, Google “local SEO” and interview some reputable, affordable services in your area. I hope you enjoyed this article about how to amp up your digital marketing with lead magnets and SEO strategies. Interested in reading more articles about digital marketing?